Apple has shared a new "Shot on iPhone XS" video on its YouTube channel in the U.S. and Canada featuring Toronto Maple Leafs stars Auston Matthews and Mitch Marner, just in time for the start of the 2019 Stanley Cup Playoffs tonight. The Maple Leafs are set to face the Boston Bruins in the first round of the 2019 Stanley Cup Playoffs on Thursday at 7:00 p.m. Eastern on NBCSN and CBC. The playoffs begin tonight with ten teams hitting the ice, including the President's Trophy winning Tampa Bay Lightning versus the Columbus Blue Jackets. 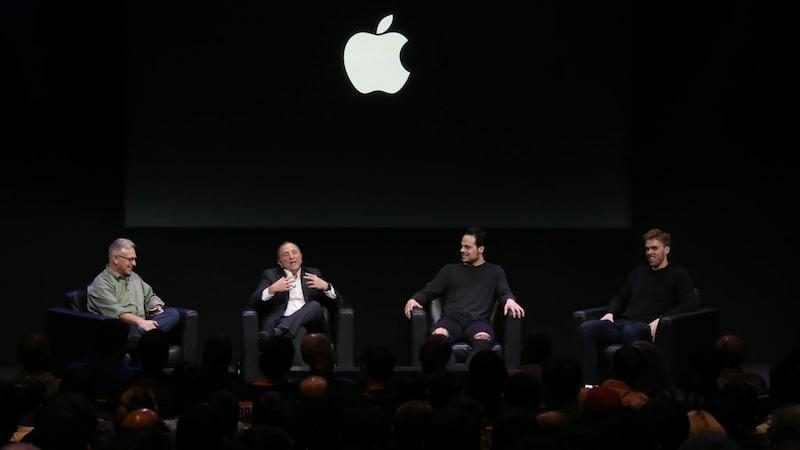 Earlier this year, while in nearby San Jose for the 2019 NHL All-Star Game, Matthews joined NHL commissioner Gary Bettman, Edmonton Oilers star Connor McDavid, and Apple's marketing chief Phil Schiller at Apple's Infinite Loop campus to discuss how technology is improving the game of hockey.